The UEFA Nations League has kicked off in earnest and by and large, has proved to be a success, most international sides have fielded strong lineups and the general feel is that it holds a lot more purpose than the same old, same old friendlies between the same old nations year-in-year-out. The UEFA Nations League has given a platform to give international managers, fans and the governing bodies at the relevant associations a more realistic approach as to where their respective nations are in terms of progression. For instance, an international friendly between England and Spain would have consisted of a number of the senior players, new debutants and a raft of substitutions after half-time. But no one would be any the wiser of how the sides are progressing come tournament time; however, after the final whistle, Gareth Southgate and his coaching staff will have noted what was seen on the pitch and the improvements needed between now and Euro 2020. 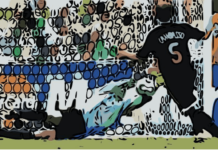 What hasn’t been an overriding success, however, is how the UEFA Nations League actually works, and even to start working out how that process works, is the type of case study MENSA students undertake when dissecting an atom or the next biological breakthrough of these modern times. To put it bluntly, it is quite strenuous, to say the least; this point kicks off a number of thoughts of what is simple nowadays in this ultra-modern social media age. 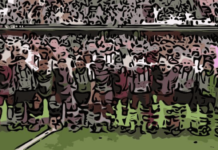 Here at Tales of Two Halves, we’ll look to take you each month to some of football’s more simplistic notions and creations – for September, it is a dedication to perhaps the most simple but most beautiful creation ever created. A programme and format which every football supporter young and old holds dear and close to their hearts – Match of the Day. All it takes is for the first two seconds of the theme tune and those first opening credits, you know it is Saturday night, it is 10:30 PM and you are in for an hour and thirty minutes of the day’s Premier League highlights. And it has been this way since 22nd August 1964, when the BBC took their cameras to watch the big match of the day at Anfield between Liverpool and Arsenal (the game finished 3-2 to Liverpool, if you were wondering). Those immortal words of ‘Welcome to Match of ]the Day, the first of a weekly series coming to you every Saturday’ from MOTD’s first presenter and legendary commentator Kenneth Wolstenholme, were perhaps said in hope rather than expectation. But over 50 years later, generation after generation of football supporters have been tuning in every Saturday. One of the many reasons why this institution of a programme has lasted the test of time is quite simply, it is simple but the most beautiful format, in which to watch the beautiful game. Times have changed, new heights of human endeavour have been reached, man has landed on the moon, breakthroughs in medical science, the ability to fly around the world, social and industrial revolution on the grandest of scales. The internet and social media have happened around us, but one thing has remained true, remained true of the what isn’t broke, don’t fix mantra, and that is Match of the Day. The opening theme tune wasn’t introduced until 1970, with also in that year, Goal of the Month being added, with tens of thousands of people sending in postcards to vote for their personal favourite (Coventry’s Ernie Hunt was the first winner, if you was wondering). Match of the Day wasn’t exactly met with open arms when it was first introduced. In fact, it was met with a hysteria of trepidation, in 1965 several clubs attempted to block a renewed contract with the BBC, in fear of a fall in attendance at matches. Eventually, a deal was struck, and a compromise made that the match being shown was not revealed until the day’s play had been concluded. The 1970’s saw a number of changes, mainly in-house within the studios, as on 9th October 1971, now legendary commentator John Motson was added to the commentators’ roster, and in 1973, football innovator and former player Jimmy Hill replaced David Coleman as lead presenter. A new decade brought about some more significant changes to our much-beloved Match of the Day, in 1980, after 16 seasons in it’s traditional Saturday slot, MOTD moved to a Sunday afternoon. This idea was swiftly turned on its head, as in the very next season, it was moved back where it belongs, and has remained ever since – Saturday evenings. Within keeping with the times, an industrial strike at the BBC forced Match of the Day off air between 15th October to 19th November, but in the 1988/89 season, perhaps the biggest change in the show’s history was about to come to light. In the 1988/89 season, the BBC wasn’t able to broadcast any league football, as the BBC lost out to its main rival ITV for exclusive rights, although the programme remained, but under a new title ‘Match of the Day, the road to Wembley’ as the BBC had the main rights to the FA Cup, it would be a further three years before our favourite football highlights show would return. In May 1992, the most significant month and year, that saw English football and how it is viewed would be changed forever. BSkyB were awarded exclusive rights to screen live football on a Sunday afternoon and Monday evening after votes cast by the clubs themselves, and most delightful of all, was the BBC gained the Saturday night highlights package as part of a five-year deal. For the 1992-93 season, and in keeping with the dawn of a new age in English Football a new show was born, but in keeping with tradition, the tried and trusted format was kept in the form of showing extended highlights from three main games. With the new era came extra analysis and now viewers could see all the goals from the other remaining games as well, Des Lynam took hold of presenting duties, and was joined by regular pundits Alan Hansen and Trevor Brooking. It was the former, who on the opening day of the 1995/96 season, uttered possibly the most famous phrase in the show’s history. When analysing Manchester United’s opening-day-defeat to Aston Villa at Villa Park, Hansen claimed ‘you can’t win anything with kids’ – how the Class of 92 and Manchester United made the former Liverpool defender eat his words as Manchester United stormed to the league title. A new century saw a new presenter in the form of former England striker and regular MOTD pundit Gary Lineker change seats and replace the much loved Des Lynam as the show’s new frontman, and has remained ever since. 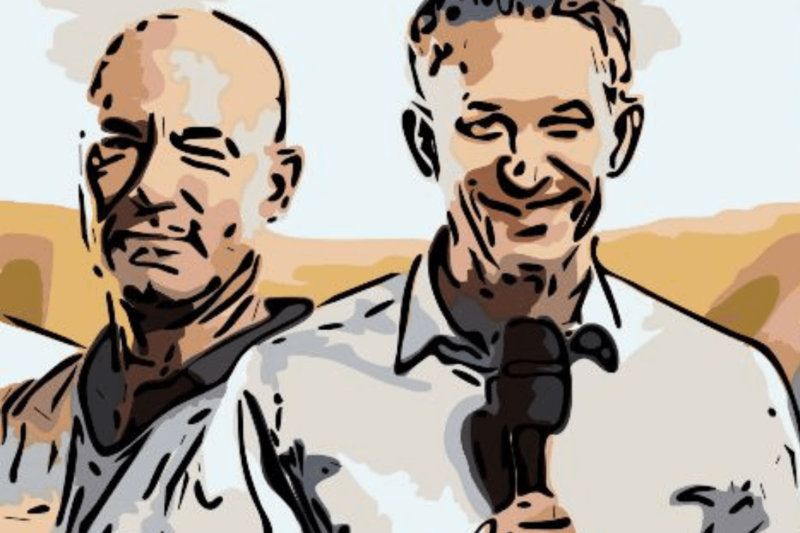 Love or loathe him, there is nothing quite like Gary Lineker, who, as a broadcaster, takes to his role with the grace and brilliance of his playing days. There is room for serious football debate and analysis, a few light-hearted remarks, but what strikes the most is Lineker’s passion for the game, most notably when Leicester City took us on that magical ride to the title in 2016. It was clear the excitement and passion was oozing from every pore as it would from every Leicester fan and true to his word, Lineker presented the first show of the 2016-17 season in his underwear (you cannot imagine David Coleman or Des Lynam keeping to that bet). New additions such as MOTD2 have been introduced since the turn of the century, and for two years between 2001–2003, ITV won back the rights to highlights. But even those at ITV HQ, and for all of us that had the displeasure of watching the Premiership and in particular, Andy Townsend’s Tactics Truck, it was deemed that a rapid return to MOTD and the BBC would be to everyone’s liking. Whatever changes MOTD has made over the years, it has only seemed to enhance and add to what is a beautifully tried and trusted format. Whether that be adding female presenters and commentators to the lineup, adding a Saturday morning show aimed at the younger generation of football supporter or adding a more continental feel to the punditry lineup. The changes have come about for the better and in line with an ever-changing world around us. 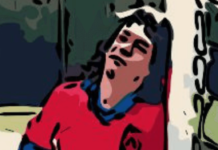 It was Brazilian lyricist and novelist Paulo Coelho who once wrote ‘It’s the simple things in life that are the most extraordinary,’ maybe Coelho has been a MOTD fan since its inception, it’s anyone’s guess. But that quite simple but beautiful phrase perfectly sums up just how Match of the Day feels within our hearts, for as much as it is an institution, it has now become part of our lives. From the opening credits, to when that theme tune begins to sound, is there a more simple but beautiful feeling one gets when settling down to watch football highlights on a Saturday evening or Sunday morning? It is a hell of a lot more simpler than trying to work out the UEFA Nations League format. Next articleThe Wurst Of Losers……..